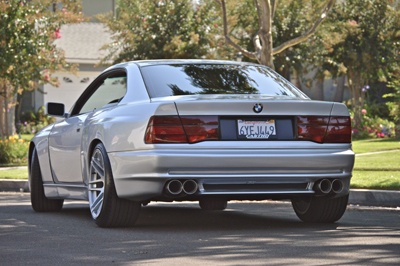 We present Michael Cuddy’s beautiful e31 850ci as one of the most unique land sharks out there. When Michael first brought the car in it was rolling on incorrect sized wheels with a lot of wheel gap so we went with 19″ Concave Forgestar wheels. 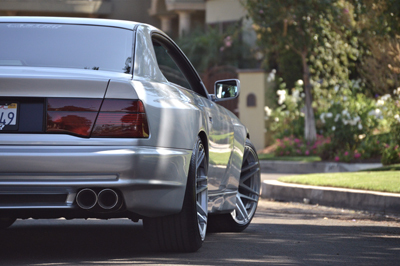 This brought the custom 80s-90s era boxed flares to the perfect stance. 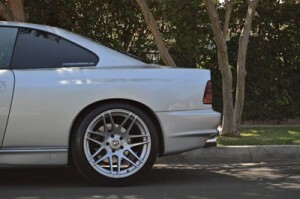 We also wanted the car to sit at a decent ride height so we went with Bilstein Sport Struts all four corners and custom H&R Springs to tailor the car’s fitment. Soon after we realized the engine started to smoke too much and it was tired after 20+ years. We removed the big monster and did a complete overhaul better than new. The exhaust was modified from the midsection all the way to the tailpipes with two vibrant mufflers. 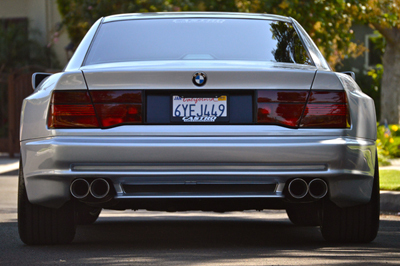 To accommodate the aggressive quad dual wall tips we added the 850csi rear diffuser/spoiler. Michael has future plans of upgrading some interior pieces and restoring more of the car.